Organomation Associates, Inc. was founded in 1959 by Dr. Neal McNiven. 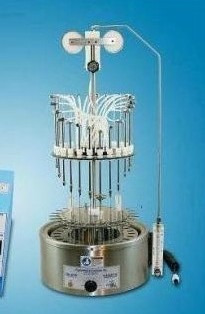 Since then, we have manufactured and distributed compact, bench-top sample-preparation equipment. Our instruments and accessories are used in analytical laboratories throughout the world. We are proud of our reputation for innovative design, quality construction and reliable performance. From a humble start with one instrument in 1959, we have grown to more than 20 different models.